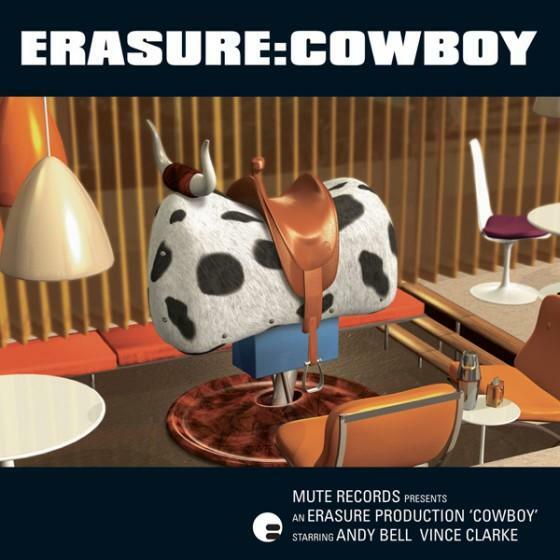 Cowboy was recorded in studios in Spain and London and produced by Gareth Jones (who has previously worked with Depeche Mode and Orbital) and Neil McLellan (The Prodigy). The album, Vince Clarke and Andy Bell's tenth as a duo, was mixed by Mark "Spike" Stent (U2, Spice Girls) and features backing vocalists from the London Community Gospel Choir. The title 'Cowboy' was chosen to reflect both Vince's love of Westerns and Western ideology and Andy's mirth at the multiple implications of the word.